Nobody could argue a sale success that Czech manufacturer experienced once under the German boot, but also nobody could argue quite dull and uninteresting offer through the lineup. From time to time, though rarely, Skoda tries to spice things up with some more interesting presentation of its products. One of those things would be a compact saloon in its RS disguise as the refreshed 2018 Skoda Octavia RS 245 is on the way. Since the regular version of Octavia just went through some facelifting, it would be natural for RS version to follow. The biggest difference is new two-piece full LED headlights with an arguably visual impact. Grille stays in deep black color as well as mirrors, while front bumper is quite aggressive with honeycomb mesh covering air intakes and that is the first thing that sets it apart from the regular version. This facelift brought light tweaks to mentioned bumper with slightly different shaped side intakes, decorated with black accents in this case. Rear lights feature different configuration, an interesting red line located above exhaust tips remains, while those same tips are darkened out now. Interestingly and uniquely shaped alloys still remain as one of biggest boosters of the sporty appearance. Cabin carries over unchanged counting on gorgeously sculpted sports seats partly covered in Alcantara, red contrast stitching, aluminum pedals and RS logos. This area has some tweaks of its own and most important is power increase. 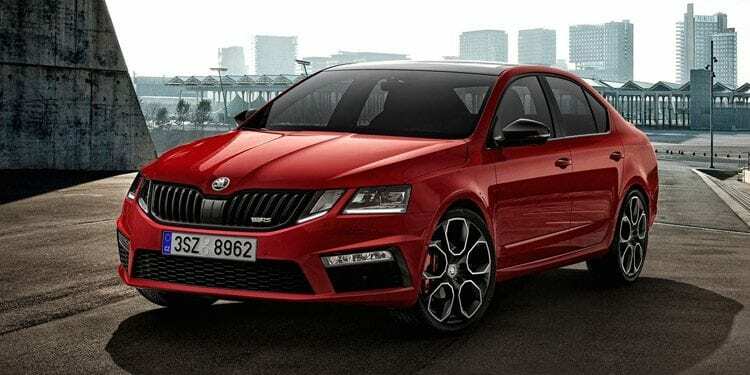 TSI 2.0-liter petrol engine is well known, but this time it delivers 245 hp which is 15 hp more than before. It takes 6.6 seconds to 60 mph, for estate version add one tenth, while from 50 mph to 75 mph takes same time making it quite responsive in usual out of town driving. Maximum torque of 273 lb-ft is achieved between 1,600 and 4,300 rpm, which points that you should expect a vigorous ride in normal circumstances, while the track is way over its reach, as it obviously doesn’t dig big revs. RS model is a half inch lower than the regular version, while its rear track is 1.5 inches wider and despite being Skoda, it carries some interesting corporation’s technology. You have optional Dynamic Chassis Control, ESP reacts differently in Sport mode, and it is followed by limited slip differential ensuring better traction. Octavia offers a variety of equipment. Top trim comes with 9.2-inch touch screen with quite decent characteristics. Skoda Connect app on your phone allows you to control windows, doors, sunroof and lighting over it, while fuel level and your parking location could also be shown. There is also a plenty of safety features starting with adaptive cruise control with emergency braking and pedestrian detection, Crew Protect Assist closing windows and tightening seat belts before the collision, all the way to blind spot detection and rear traffic alert. 2018 Skoda Octavia RS 245 now comes with more power, making it more fun and enjoyable on back roads. This is not in the group of hottest hatches as power figure cleared that out from the beginning. 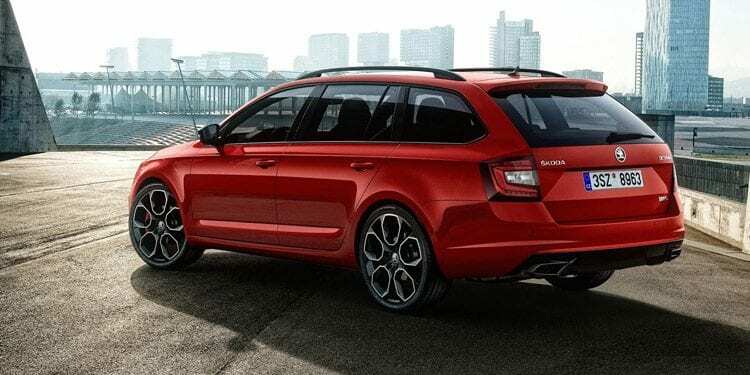 This is partially spiced up compact sedan or wagon, for those more adventurous but reluctant to stretch more and hurt their wallet both by the price tag and fuel consumption. It is far from Golf R and Focus RS, it knows that, and it doesn’t pretend to be anywhere near. Don’t worry, for just around $25,000, or the price of a better equipped regular hatch, it is more than capable of being fun for what is a clear bargain.